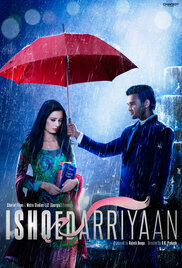 Plot: Ishqedarriyaan is a story of love, sacrifice, family values and relationships. It tells the story of Luvleen, who is a teacher by profession and who wants to collect donations for her grandfather's school. This journey introduces to Aagam Diwan, a millionaire and Arjun, a passionate singer. Soon, they are drawn into a love triangle. What will be the outcome of this story?